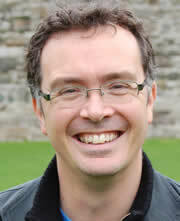 I joined the School of History, Welsh History and Archaeology at Bangor in September 2007. I was awarded his Ph.D. by the University of St Andrews in 1998, worked for a time as a solicitor in the City of London, but returned to academia in October 2003. From then until the summer of 2006 I was employed in the History Faculty at Oxford University as a post-doctoral research assistant on a project to edit the charters and writs of Henry I (1100–1135). I am a fellow of the Royal Historical Society, a member of the council of the Pipe Roll Society, and a trustee of the Allen Brown Memorial Trust (which organizes the annual Battle Conference on Anglo-Norman Studies). My research focuses on the rule and government of England and, principally, Normandy from the tenth to the twelfth centuries. I published a monograph on Norman rule in Normandy between 911 and 1144 in 2017, and am currently beginning work on the subsequent period of Angevin rule in the duchy, looking initially at the reigns of Geoffrey V and Henry II (1144–1189). That research goes hand in hand with work on the rule and government of the Norman and Angevin kings in England, with a focus here on both the charters and writs that the various kings issued, as well as on the pipe rolls—the records of the annual audit of the king’s revenues. In addition, I am developing an interest in the life and reign of Robert the Pious, king of the French between 996 and 1030. Hagger, M 2017, Norman Rule in Normandy, 911-1144. Boydell Press, Woodbridge. Hagger, M 2016, Le gouvernment in absentia: la Normandie sous Henri Beauclerc, 1106–1135. in D Bates & P Bauduin (eds), 911–2011 : Penser les mondes normands médiévaux: Actes de colloque international de Caen et Cerisy (29 septembre - 2 octobre 2011). Presses universitaires de Caen, Caen, pp. 429. Hagger, MS, Hagger, M & Roffe, D (ed.) 2012, Lordship and lunching: interpretations of eating and food in the Anglo-Norman world, 1050–1200, with reference to the Bayeux Tapestry. in The English and their Legacy: 900-1200: Essays in Honour of Ann Williams. 2012 edn, Unknown, pp. 229-244. Hagger, MS & Hagger, M 2012, William: King and Conqueror. I.B.Taurus. Secular law and Custom in Ducal Normandy, c. 1000-1144. Hagger, MS 2010, 'Secular law and Custom in Ducal Normandy, c. 1000-1144. ', Speculum, vol. 85, no. 4, pp. 827-867. The earliest Norman writs revisited. Theory and practice in the making of twelfth-century pipe rolls. Hagger, MS, Hagger, M & Vincent, N (ed.) 2009, Theory and practice in the making of twelfth-century pipe rolls. in Records, Administration, and Aristocratic Society in the Anglo-Norman Realm.. 2009 edn, Boydell Press, pp. 45-74. The Gesta Abbatum Monasterii Sancti Albani : litigation and history at St. Albans. A pipe roll for 25 Henry I. The Norman vicomte, c1035-1135: What did he do? Hagger, MS & Hagger, M 2007, 'The Norman vicomte, c1035-1135: What did he do? ', Anglo-Norman Studies, vol. 29, pp. 65-83. Kinship and identity in eleventh-century Normandy: The case of Hugh de Grandmesnil, c. 1040–1098. The Fortunes of a Norman Family: The de Verduns in England, Ireland and Wales, 1066–1316. Hagger, MS & Hagger, M 2001, The Fortunes of a Norman Family: The de Verduns in England, Ireland and Wales, 1066–1316. Dublin: Four Courts Press.